Address: Rua de Manuel Gomes Estela nº 9, 1º andar., Elvas (Alentejo), Portugal. Located 200 metres from Municipal Library of Elvas, Casas da Lourdes offers pet-friendly accommodation in Elvas. Guests benefit from balcony. Free WiFi is offered throughout the property. The kitchen is equipped with a microwave and a toaster, as well as a coffee machine. 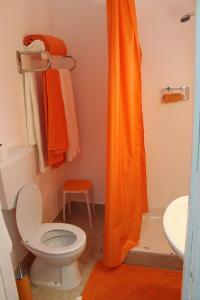 Towels and bed linen are available at Casas da Lourdes. Other facilities at Casas da Lourdes include a terrace. Please inform Casas da Lourdes in advance of your expected arrival time. You can use the Special Requests box when booking, or contact the property directly with the contact details provided in your confirmation.